We awoke to overcast skies and a quiet marina for our second morning in Roche Harbor. If you’ve been following our tale you’ll know that we were stranded here an extra evening awaiting a coolant pump to be flown in from Seattle on Kenmore Air. I’m happy to report our plans to secure a new (warrantied) part the previous day were successful. The folks at Lake Union Sea Ray were extremely accommodating, which was reassuring. We’re not salty sea dogs. While we’re comfortable boating and have a fairly good grasp of our equipment and general navigation skills (I just this week got word that I passed both my Seamanship and Piloting courses! ), I don’t have a clue about how to maintain the two 260hp Bravo III 5.0L V8 engines. I know, rattling off engine terms makes it sounds like I do, but I really don’t. Around 11:15am I left our dock and headed toward the main dock. It’s a long walk, but a pleasure to stroll past so many amazing power and sail boats. There were three Ocean Alexander yachts at the head of the dock on display, waiting for buyers. The 2012 58 footer could have been ours for $1.8 million. But, since I didn’t have $1.8 million and wanted to remain married, I continued on toward the seaplane arrival area. 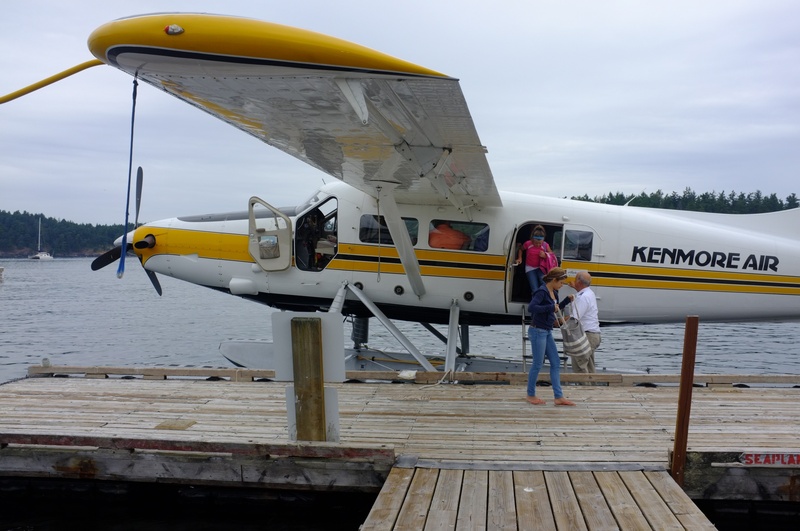 I met the plane at the dock and retrieved our coolant pump from Kenmore Air flight 130. It had arrived promptly at 11:30AM. With the 10lb box in-hand I headed back to the LAIKA. During the way I called Roche Harbor Marine Services and let them know the part had arrived. The mechanic was at the boat by 12:30pm and confirmed the problem and began work. The one part that I wasn’t able to secure was a new serpentine belt. Lake Union Sea Ray simply didn’t have it in stock at any of their locations. The mechanic assured me that the one I had, once cleaned, would work fine – for a while. So, I cleaned it throughly in a soapy water bath and let it dry. This removed the Glycol, which can cause the belt to slip, which is how we originally discovered we had a problem with our pump. A friend later told me these belts can be secured at any automotive supply place for considerably less than what marine stores charge. I’ll deal with that another time. After a couple of hours we were ready to leave. 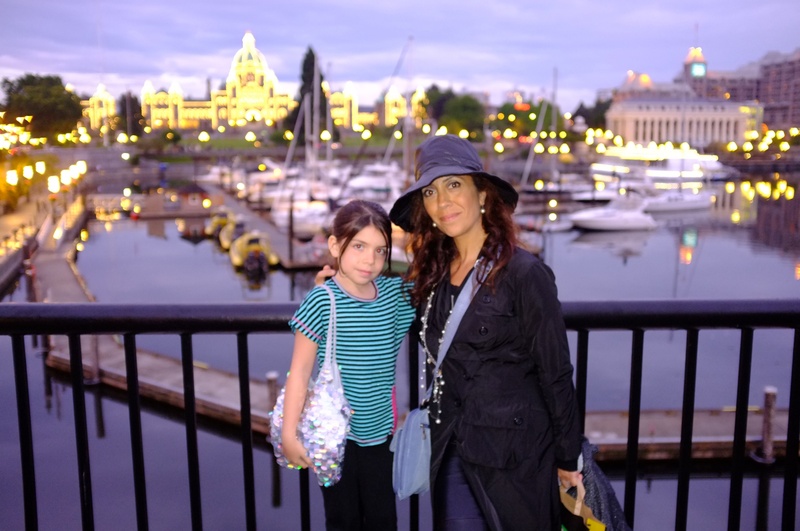 It’s not that we didn’t love Roche Harbor, but we were anxious to get on to Victoria, BC – not only to visit the city but for the sheer thrill of heading into another country on our own boat. With the crew on board we prepared to leave and made it almost 100 yards before an alarm started shrieking. At first we couldn’t figure out what was making the noise. Was it our portable CO detector? Maybe the bilge pump alarm? One of the cabin CO detectors down below? We couldn’t figure it out until, finally, we thought to look at the Mercury Vessel View screen. We discovered that our starboard engine, the one we watched get nursed back to health with a new coolant pump, was overheating. Three letters immediately came to mind: WTF. Seriously, what could it be this time?! I popped the hatch and looked around. Everything seemed fine. There was no fluid spraying. Belts were moving. Everything looked and sounded normal. But, the temperature had moved from a normal 160 degrees to close to 200 in just minutes. I shut the engine down. Letting an engine overheat, on a boat, can be a very expensive thing to happen. We were so excited to finally be ready to head toward Victoria that, when this happened, we were crestfallen. Using one engine, I maneuvered the boat West toward the public access docks. And, just before reaching the dock powered up the starboard engine long enough to safely and accurately saddle up and secure ourselves to the dock. 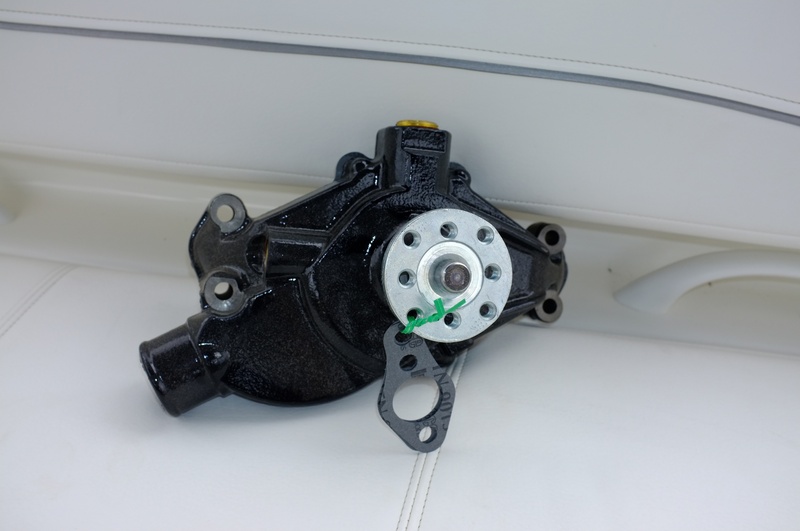 I failed to mention that by this time we had already reached out to the mechanic that had installed the pump and after providing all the details were assured that what we were dealing with was probably an air block introduced into the coolant system. It made sense, but we had to be sure. Within minutes Greg, the mechanic was at the boat and extremely apologetic. Normally, he told us, he’d pump out all the coolant when he does a job like this and would reference his collected fluid to determine how much to put back in to the system. In our case the pump had sprayed most of the coolant into our bilge. So, when we refilled our coolant an hour earlier what we had likely encountered was an air block in the system, introduced when the pump was installed. The solution was to let the engine and heat exchange unit cool down and slowly add back in fluid. We (actually, Greg) did this several times and discovered that, basically, we should have added almost two more full containers of coolant back in the first time. With coolant back in and an in-gear engine test done while we were tightly secured to the dock (that revealed no increase in operating temperature), we were ready to depart. With even more apologies directed toward us, we thanked Greg and set off for distant, foreign lands. With our course plotted, we set off for Victoria by heading West out of Roche Harbor. This led us toward Henry Island where we turned South through Mosquito Pass and toward Mitchell Bay. From there we took an almost straight, South-West shot toward Discovery Island off the tip of Vancouver Island. The longest stretch of open water in Haro Strait for us was about 6.5nm. We encountered moderate chop and, at times, would drop down from 27-28 knots to around 20 knots. Despite the chop and the speed fluctuations, we made it to the mouth of Victoria Harbor at Ogden Point in under an hour. We followed the well laid out buoys for pleasure craft navigation and were at the marina in another 10 or so minutes. Unlike Roche Harbor, Victoria is a large, vibrant city. We had been there almost ten years ago, but never by boat. It was thrilling. Despite being enrolled in the Nexus program, we opted to manually check in at the Customs dock. I departed the boat and picked up the phone that automatically dialed an officer in some call center. There were no physical offices at the dock. Just the phone and some pamphlets. I answered a few questions about our vessel, its occupants and our plans and, before long, we were issued an entry number and welcomed to Canada! We then switched out our American flag for the Canadian flag, which is customary when visiting a foreign port. The marina we selected and had reserved a slip at was literally next to the Customs area and we putted on over and assumed a position on the dock. We like to do “Stern in” docking so we can leave the boat and walk directly into or toward our destination. In this case the back of our boat looked out toward the grand Empress Hotel, which is part of the luxurious Fairmont chain. We were excited to head out. So, after cleaning up and securing the boat we locked up and headed out. The one thing about being in the middle of a big vibrant city is that the docks are literally in the middle of a huge tourist spot, and the marina is open to the public during daytime hours. If you visit this marina be aware that the docks are exposed and accessible during daytime hours. We enjoyed a pleasant dinner near the marina and then set out for a walk on Government Street. When we returned to the marina the lights on the water allowed me to capture some really nice photos. At a super high ISO setting the Fujifilm X100 delivers some stunning images. This entry was posted in Trips, Uncategorized and tagged Fujifilm X100, Roche Harbor, Victoria by David. Bookmark the permalink.